In this video Monique Soltani interviews Tara Empson, owner of Empson & Co.. Italy’s top fine wine exporter shows us why not all Pinot Grigios are created equal. Americans were having a love affair with Pinot Grigio long before Ramona was hawking hers on the The Real Housewives. 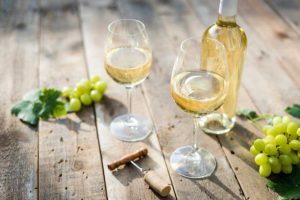 The everyday, easy drinking, always affordable, white wine, effortlessly won the hearts of wine lovers around the world. 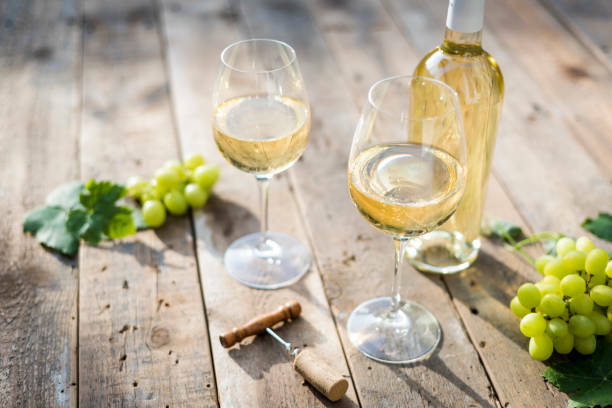 It’s no real surprise, since Pinot Grigio is a straightforward, light wine, that’s perfect for any occasion and a variety of food pairings. The grape (Pinot Gris) originated in France, but Pinot Grigio feels as uniquely Italian as Tiramisu. 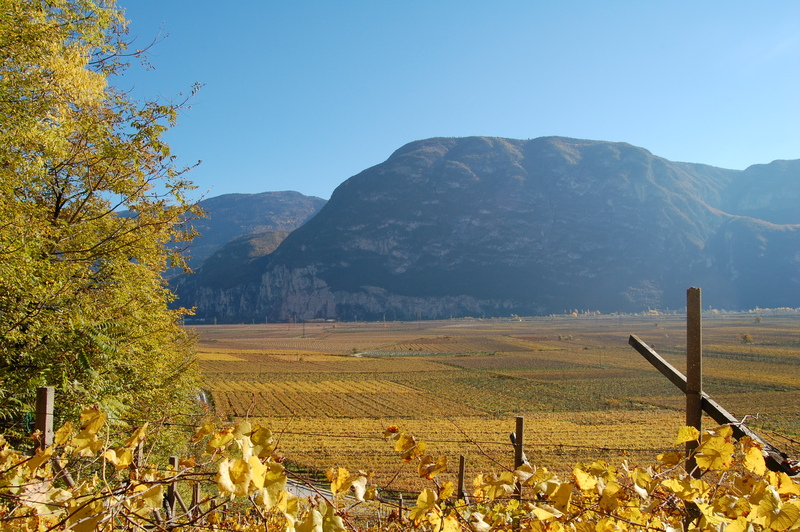 Northeastern Italy (Trentino-Alto Adige, Veneto, and Friuli-Venezia-Giulia) is the heart of Pinot Grigio production and dominates the world wide production of the grape. However, finding a high quality Pinot Grigio is not so simple. Not all PG’s are created equal. In fact, very few are. Nonetheless, there are high quality, affordable Pinot Grigio producers out there. The trick is knowing what to look for, to know you are on the right path to PG perfection! The production and the place are two key factors in what makes Pinot Grigio, a truly one of a kind, high quality wine. Let’s start with the PLACE. One of the best places on the planet to find high quality Pinot Grigio is in Northern Italy, near the Dolomites in the Trentino-Alto Adige area. Trentino-Alto Adige is in the Province of Trento and positioned in the very north of Italy bordering Austria and Switzerland. 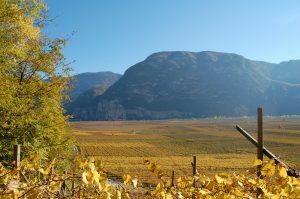 The Dolomites Mountains are ideally suited for grapegrowing. The unique microclimates give these local wines a particular freshness with a sound backbone of acidity. A perfect example of this is Lagaria in Val Lagarina, which runs from the southern part of the Adige valley to Verona. Val Lagarina unique geography is in a crossing area between the mountains and Lake Garda. Creating a particular microclimate that makes these wines more complex than the rest. High altitudes of 820-1,640 feet above sea level enhances the soil characteristics. During vineyard management, they pay close attention to detail, and this translates to the lower yields and higher quality, than competing wines on the market. The wine is kept in contact with the fine lees until bottling, usually in the early spring after harvest. Straw yellow in color, pleasant floral and fruity aromas of apple, apricot and pear. 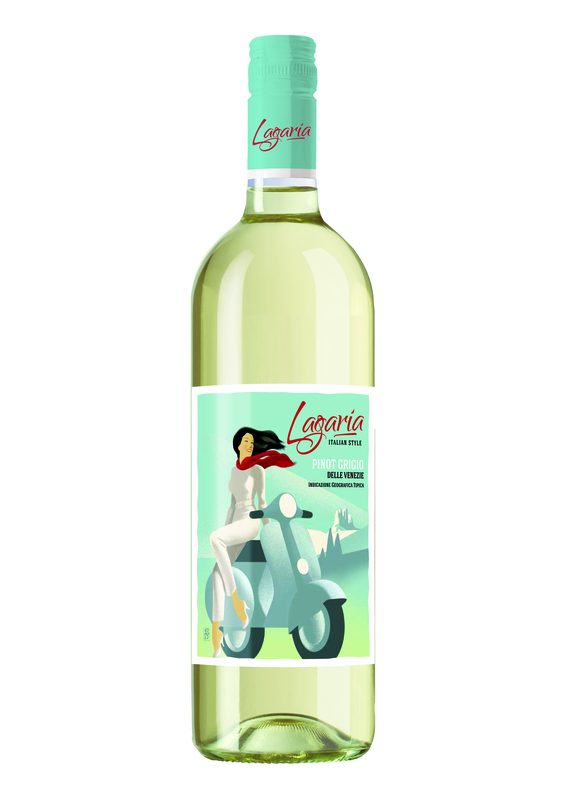 If you are looking for an affordable, approachable, and food friendly Pinot Grigio, look no further than Lagaria [la-GAR-ria]. 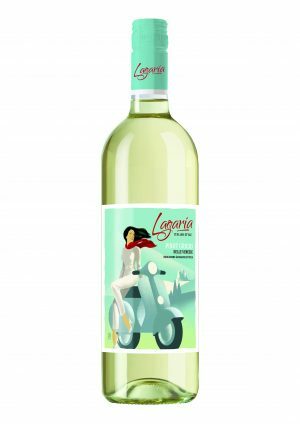 Lagaria has found a way to bring a taste of Italy’s “sweet life” to life to the U.S. for under $10 bucks a bottle. Lagaria was founded in 1975 by Neil and Maria Empson. The Empsons named the winery Lagaria in honor of the Lagarina Valley where the wines are made. The wines are made by a longtime friend and Enologist, Franco Bernabei. The superstar winemaker’s secret to making Lagaria Pinot Grigio more complex than the rest is by leaving the juice in extra long contact with yeast. The state of the art winery is on the cutting edge of tech. The winery uses renewable energy in every phase of production. The brand is committed to sustainability for the long haul. One of the ways they show their commitment to the environment is by using solar power. Harnessing the power of the sun, is something California winemakers and drinkers are very familiar with and big fans of! 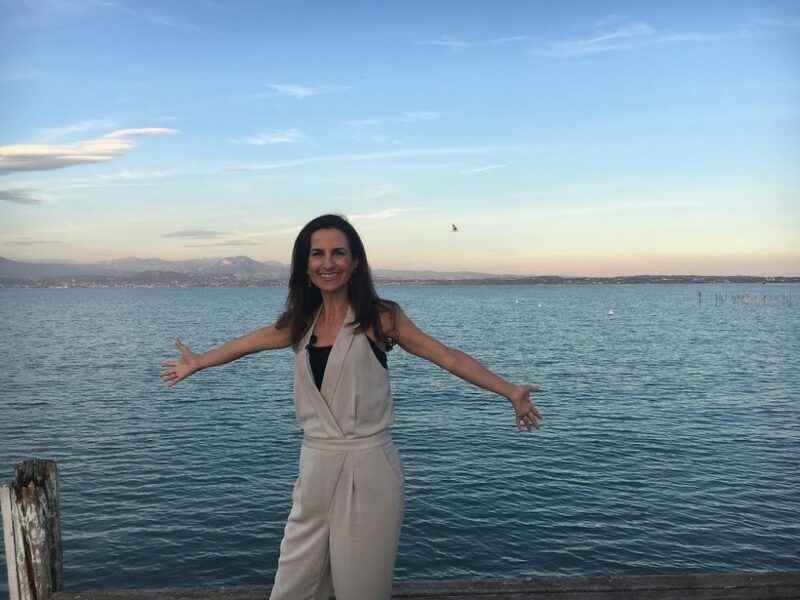 Learn more about Lagaria Pinot Grigio with Tara Empson, Owner of Empson & Co.
Q&A with Tara Empson of Empson & Co.
Tara Empson of Empson & Co.
Monique: I am so delighted to be joined today by Tara Empson. 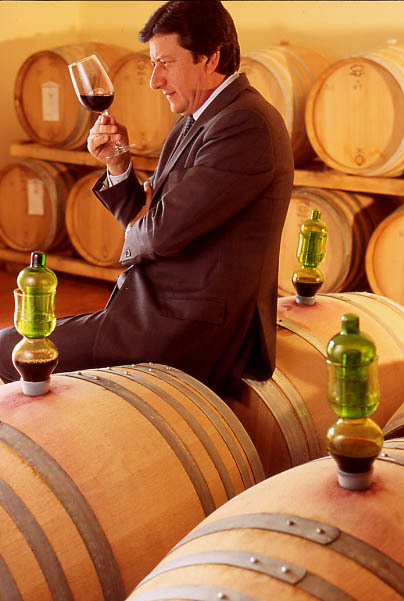 Empson and Company is the leading exporter of Italian fine wine around the world. Tara Empson: I’m the proud daughter of Neil and Maria Empson, who founded the company. It’s been 47 years of exporting fine Italian wine all over the world. We currently are present in about 41 countries and the U.S. is our biggest market. My parents always believed in the potential of Italian wine and they always believed in the authenticity, what they represented and standing behind quality was their number one mission. What we’re going to be talking about today is also part of that. My dad while he was exporting fine wine, he always wanted to give the American consumer particularly, a taste of what he thought quality was at an affordable price. 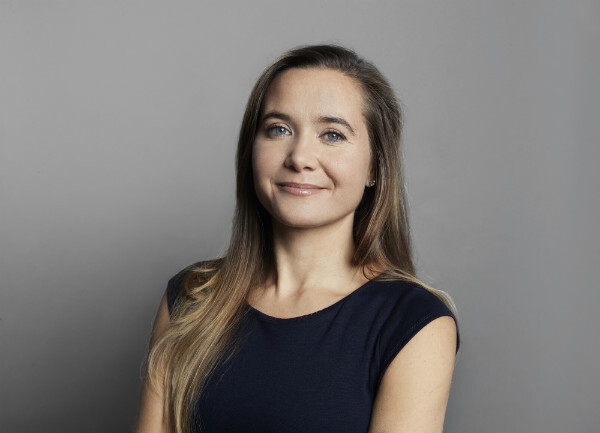 Tara Empson: For example, Lagaria was started in 1975 back in the day, which is not the market of today, in which it’s so easy and accessible to do so. But, my dad was a visionary and wanted to present to the American market, what he thought could be an approachable guideline, and what the American consumer should start looking for when it came to affordable quality as a benchmark. 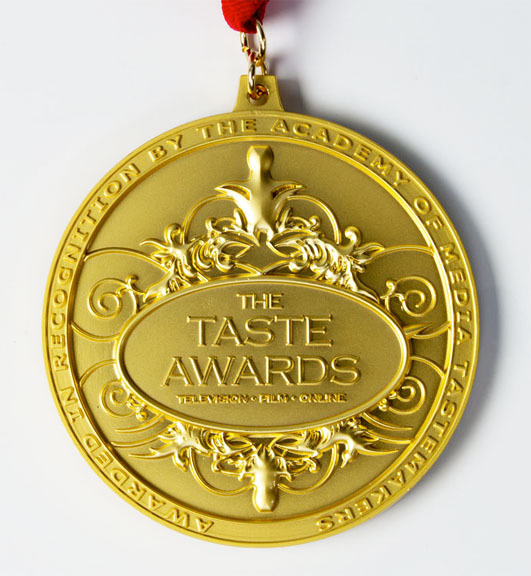 Monique: Today, when we think of Italian wine, we think of high quality for great value. Back in the day, I’m sure when your father started, that wasn’t always the case. You have really been trailblazers in the industry. I think the American consumer when they’re grabbing a bottle of pinot grigio, they really are looking for that high quality bottle of wine. 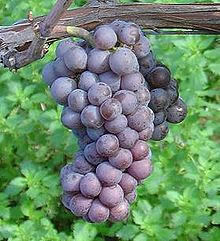 So, I’d love to talk about Lagaria and what makes it unique or different than all the other pinot grigios out there? I’m going to pour myself some now. Tara Empson: Listen, you are completely right. I mean, especially nowadays, the market is completely saturated with pinot grigio. There’s so much of it out there and not to get completely specific, but the price wars are heavier than ever. The original pinot grigio had a very classic label to it and what we decided a few years ago to go to a very approachable, very young modern label to it because we wanted to get younger consumers involved. So, having this Italian lifestyle in mind, we decided to have this Vespa, and this freedom to roam around Italy and to see it with the idea of getting a classic poster behind it. So, it was a movie aspect that we thought of doing and it was something that we just thought could be recognizable on the shelf or behind a bar at a restaurant and it’s just something relatable. The whole philosophy of Lagaria for us is, it is very quality driven and oriented as much as everything that we do. We wanted to make it a very approachable pinot grigio and we wanted to continue to make it something very easy. Tara Empson: Wine at a certain point needs to be enjoyable. There were a lot of wines out there that do merit the time to be thought and dissected and analyzed. But, one of the greatest feelings for working women like us, is sometimes to just come home and pour yourself a beautiful glass of good wine and just let the day role by, you know? And just shake it off. Monique: I’d love to talk about the region specifically, because I’ve spent some time in Northern Italy, I’ve spent some time in Garda, in Trentino and Alto Adige. So, for people who aren’t so familiar with the unique position and climate of where you are making this pinot grigio: Definitely one of the most fantastic regions in the world. Tara Empson: Gladly. You know, once you go somewhere and you see where it comes from, I think it changes the experience, you know? There’s a whole world behind a label and I’m going to do my best to try to make this as picturesque as possible, but the area in which it comes from is actually very unique because we’re starting to go into the areas of the Dolomites. The Dolomites is a very high mountain range. It’s characterized by a lot of minerality. A lot of the fresh water comes from there and so, basically the height of where the Lagaria vineyards are, somewhere at the foot of the Dolomites and it starts pressing on the hills, these gently rolling hills that lead up to the Dolomites. Tara Empson: The altitude that we’re talking about here is about 150 to 400 meters over the sea level. What is actually fun and peculiar is that both this differentiation and altitude gives it two very distinct microclimates because in the lower area, you almost have this Mediterranean microclimate to where the vineyards are, which is a much warmer climate. Then as the vineyards get a little bit higher, you have such amazing temperature excursions. Monique: I was just going to say and a wonderful place to make really great wines and the freshness, the acidity of the wine, it really shows. You can taste the region in the glass. Tara Empson: Yes. You can taste the freshness of it and that’s what it’s supposed to be like. 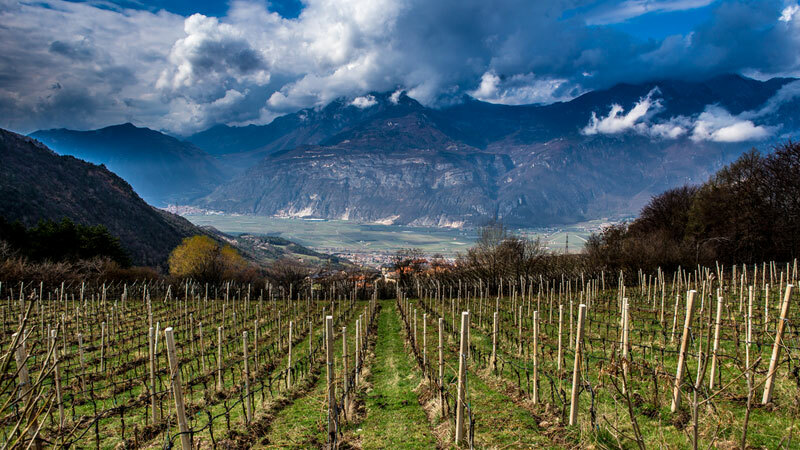 One of the greatest things about this pinot grigio is that 90% of the vineyards are actually either on the slopes of the Dolomites or on the hills. So, you don’t have a lot of the valley vineyards, which usually are the ones that are a little bit more the lazier, we call them the lazier vineyards. Tara Empson: There’s this saying that once a vineyard suffers, it always produces the best grapes. Especially when we have these vineyards that come from the foot of the Dolomites, this treacherous, very tall mountain range and very steep, very mineral and you have all these characteristics to it, the grape actually in itself is so much more, as you would like to say, delicious to eat. So, we love the fact that actually transmits into the wine. Monique: I’d love to hear about some traditional dishes that you and your family share together with this wine. Tara Empson: That’s a very hard one because usually whenever Christmas rolls around, I tend to run towards warm weather. Monique: Oh, you get out of Dodge. You’re smart. Tara Empson: Obviously, I think all fish plates has to be the easiest thing. Pasta dishes are great as long as, you know, I wouldn’t pair it too much with tomato sauce, but maybe with a lighter sauce to them. I would probably say chicken dishes are great, even turkey to some extent. Tara Empson: I would just stay away from very heavy or dark creams or sauces for that matter, also because pinot grigio tends to me quite delicate as a varietal and as Italians love to say, the wine’s supposed to compliment the food and the food’s supposed to compliment the wine. So, the last thing we’d ever want is for either of them to not get along. Or enjoy before dinner and a few glasses is always my favorite personal choice and made with a little bruschetta with some olive oil is always the best way to go and we really enjoy it. Monique: Tell us a little bit about the winemaking team. Tara Empson: We’ve had our long time enologist Franco Bernabei and his family, who actually both sons are enologists as well. He actually consults with us for most of the projects that we do and I’ve known him ever since I was, oh my god, ever since I was five. So, we have this very close family environment of team and enologists and everybody else behind it and it’s something that we’ve been working on for a very long time. Monique: I want to talk to you a little bit about the future because I understand you took the reins recently. Do you have any visions for the future? Where you’d like to see Empson and Company go? Any changes you want to make? Tara Empson: That is correct. My parents have recently passed on the company to me and I have to say I’m so grateful for this opportunity and the luckiest part of it all is when you actually enjoy what they do and you love it. I won the lottery in that sense and they’ve set up this wonderful company, this legacy, which I’m so proud to take on. Monique: Yeah and I think you guys are doing a great job of that. One of the things I kept hearing you say is “fine wine” and I love that you guys are able to provide a fine wine that’s affordable. I think that is also something that American consumers and wine drinkers around the world, are looking for. A wine that doesn’t break the bank, but they feel like they’re getting a great value and I feel like you guys have really done that here. Tara Empson: Oh, thank you. I mean, listen, even with the changing of times, it’s quite amazing to see how the benchmark now has gotten so much higher. I mean, you’re talking about 2018, well basically almost ’19 versus 1975 and the choices of quality nowadays, it’s gotten … It’s a lot easier and a lot more feasible to find quality out there and the difference and the whole world is producing wine and it’s actually exciting. Tara Empson: I mean, to be a wine drinker, to be a young wine drinker today has so many opportunities to it. It’s probably the most exciting time ever to be a young wine drinker out there and if you love it, it’s virtually, you can be unstoppable. Tara Empson: All I can say is it’s always very interesting because what I would say for myself and my generation would be I think that the only catch is sometimes we have too much choice out there. Tara Empson: And you know, we’ve grown up in that over fed and over stimulated society, which has it’s pros and cons to it, but it’s very interested where this is going to go in the next 10 years. Monique: Yeah and it’s very interested to follow and thank you so much for your time Tara. Happy New Year. Tara Empson: And I wish you all the best and happy holidays to everyone. And if anybody loves the wine particularly, please let us know. Monique: Absolutely. Happy holidays. Cheers to 2019 and all the success it’ll bring. Empson & Co. is a leading exporter of fine Italian wine worldwide. Founded in 1972, the company works with quality and distinctive family-owned estates who are deeply rooted in the excellence of Italian terroir. With Empson, customers have the advantage of working with a team of passionate experts who offer services in wine marketing, logistics, advertising and communications, liaising first-class Italian wineries with renowned international restaurants and wine retailers.